SEO for home improvement should be approached just like any other SEO projects. However, some subtle differences mostly have to do with content and targeting the local search keywords. In essence, your goal should be to catch your prospects when they are looking for a service provider online. To do that, you’re going to need to rank highly for relevant keywords. You can achieve a high Pagerank by following good SEO practices, which should ensure that your website maintains good search engine rankings now and in the future. In doing SEO for home improvement, small business owners mostly need to focus on getting leads in their local area, which is why their choice of keywords needs to reflect this. 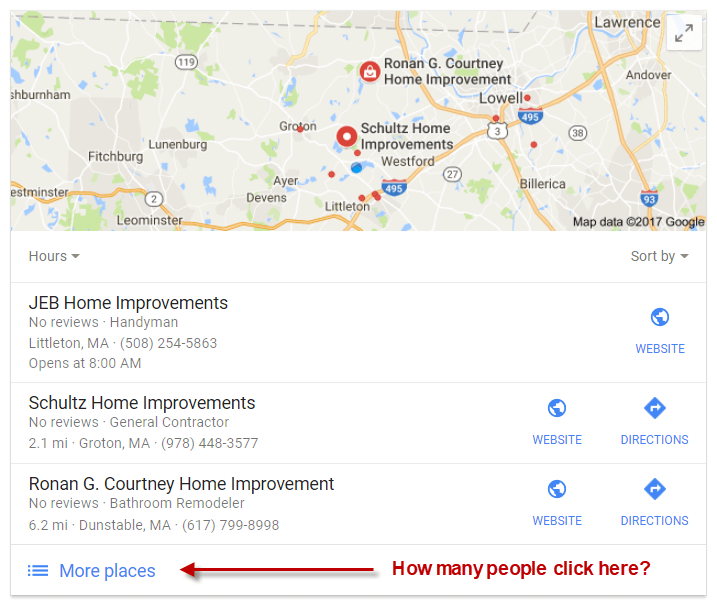 By targeting search terms like “home improvement Massachusetts” or “New Hampshire Contractors,” you’re going to help you more than the broader term like “home improvement.” This way, not only is it easier to rank because fewer people are competing for them, but you’re also going to be receiving much more targeted prospects than you otherwise would. Free business directories and social media like Facebook, LinkedIn, Google My Business, Yelp, Yahoo, Bing, Angie’s List and others are a good way to get additional exposure for your website. Adding or claiming your business in these online directories does not cost you anything and will give you excellent visibility as well as getting some backlinks. However, it’s not enough to just claim or create them once and never return. Take the time each month to update your listings with a photo, special deal or announcement and promote your business by asking customers for reviews. If you are too busy, it is worth the investment to hire a good Local SEO company that can actively update your listings. If your competitors do; their listing will always rank above yours. Don’t overlook local “pay for lead” home improvement websites like HomeAdvisor, Houzz as they can be expensive but a good source for leads. These sites can charge a monthly fee and a fee for each lead, and it can add up fast. Also, don’t forget these websites share leads with multiple contractors, so you will have your work cut out for you when you run around giving estimates. Schema.org markup can help communicate your location and other details like reviews to the search engines. The schema may sound like just technical jargon, but search engines use it for ranking, so you need to know what it is. In a nutshell, webmasters embed structured data on your web pages, and it will improve both your ranking and your click-through rates because you can now show things like ratings in the search results. Qualified leads: increasing the number of your customers should be your primary concern, but not all of them will be of much use to you. If you get someone asking for a quote on your home improvement services, that’s great. But if that person lives on the other side of the country without you having any business partners there to help you offer your service, that customer is not worth much. Higher ROI: Spending your money on advertising can be far more costly than creating quality content. Besides how many times has someone shared advertising? Alternatively, a well-written story or helpful article can be shared with thousands and sometimes millions of people in a short period. Investing in SEO services will yield the highest return. Simply put, creating and optimizing content will keep your website on the top search engine rankings and as a result will keep bringing you traffic and sales for years to come. How to find and hire a home improvement professional? How important is it to hire a licensed professional and what are the costs to hire someone without a license? The dos and don’t of working with a contractor. What does it cost for a new kitchen? What does it cost to fix a roof? The possibilities for helpful content are almost endless, so be prepared to invest in hiring a team of writers. If you focus on your customer and their journey, your return on this investment will yield a huge ROI for your business. Publish in print news, online social media, and don’t forget email marketing! Don’t just post the content on your website, email it to your friends and client list, post it on social media and be sure to send a press release to local newspapers. The more places you can distribute your content, the larger the impact and higher the return on your investment. During each stage of a customer’s journey ask for the business with a call to action throughout your website. Think about all that effort and money you spend on creating and helping people who visit your site with free advice. If your site helps people with quality content and helpful information, you will get a ton of traffic. However, if you never ask for the sale, you won’t get it! By properly optimizing your site for conversion, many of these visitors will become your customers. If you don’t ask for the sale, your site visitors will read your helpful advice and move on to the next website or call your competition. If you are happy with this article and need to hire someone to help do local SEO for home improvement contact us for a free SEO consultation and we can help. You also need to be careful that all the content you publish is original. If your site has substantial duplicate content, it will get a low-quality score and may get filtered out of search results. Although Google does not automatically remove your site when it sees duplicate content, your website can get removed from Google’s index. Google explains that “Duplicate content on a site is not grounds for action on that site unless it appears that the duplicate content intends to be deceptive and manipulate search engine results.” Otherwise, Google will ignore your content if it is the same as other websites. Many online checkers will allow you to check if your site has duplicate content (some of them are even free). A good example is Duplichecker or Copyscape. You may want to try to find someone who has experience in SEO for home improvement. There are technical details like meta tags for communicating with the search engines that may not be easy to figure out. You need help to make sure that your articles contain relevant keywords, images have proper alt tags, and the meta titles and descriptions are not too long. If your site loads up quickly, this is a significant positive boost regarding SEO. But to make matters a little bit more pressing, you need to bear in mind that 40% of visitors will abandon your website immediately if it doesn’t load within the first three seconds. So how can you accurately measure the loading time of your website? Pingdom is an excellent tool for this purpose. And how to make your site load faster? A reliable web host is a good start. Then, of course, you need to optimize your website’s code, cutting all the necessary elements. Buying backlinks to your site may seem like a good idea, until one fateful day when Google catches on, and your site gets penalized for it. Google’s webmaster guidelines prohibit buying backlinks. Instead, you should be putting your money towards quality content and white-hat SEO practices. In other words, your website content should be helpful and make others want to link to it naturally. A good design will make your site look professional, which is what’s going to make or break you regarding sales. Therefore, putting money towards a good design is a good investment. Otherwise, you run the risk of potential customers leaving you before you’ve had the chance to present your services. Also, certain SEO experts believe that by having a unique design, your website will rank better. If you’ve paid close attention to what we were discussing earlier, you can probably guess what the difference is. But to put it broadly, you’re doing organic SEO when you’re targeting the keywords that have nothing to do with a particular location, and local SEO is when you’ve guessed it, your keywords are referencing a specific location. If you’re a small local business, then your primary focus should be on local SEO for home improvement, since you’re probably offering services on a local level. But investing in organic SEO will help because it will bring much-needed branding and exposure. In the end, proper SEO for home improvement takes time. It’s more like a marathon than a sprint, so you need to set your expectations straight and not get too impatient. But if you understand what it takes and willing to work with a trusted provider, your efforts are going to get rewarded. You will see better search engine rankings, more traffic, and – in turn – more sales, which is what every business owner needs. So to conclude, pick a strategy and stick with it. Identify an area you should be investing more of your time (like social media in case you don’t yet have a presence there). Be consistent with your approach. Dedicate 30 minutes a day doing it or hire a professional who has experience with SEO for home improvement. Rewards will come for your efforts, and your success will start to snowball. 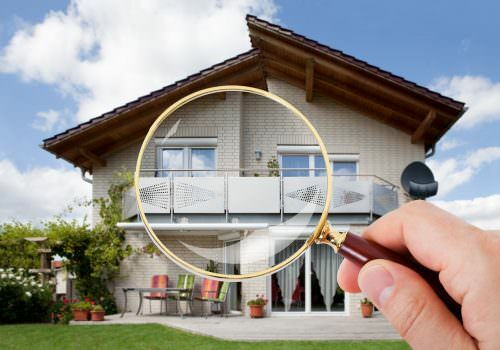 If you need SEO for home improvement contact us for a free consultation. a division of MBA Team, Inc.